One side offers a regular reflection ,and the other side is magnifying mirror that features 2x magnification. 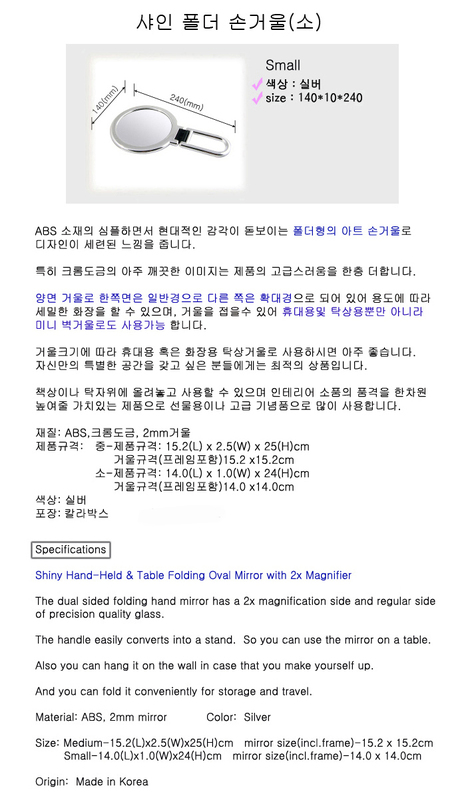 It can be used as hand mirror or as a table mirror. The folding hand-held mirror is a convenient article for the dressing table or the traveling bag. Now the face in the mirror is ready for perfect makeup application.